Many are of the view dining out in Pakistan is just about relishing food. While others believe that it’s more than just about food. I agree with the second cohort. It’s the settings, views, ambience and decor that together makes a restaurant ‘special’ and food more appetizing when it comes to socializing with friends or family members. The Des Pardes Restaurant in Islamabad, Cafe Zouk in Sialkot and recently opened Friends (theme) Cafe in Lahore are prime examples. The enthralling architecture and decor of these eateries have forced many to visit them over and over again. Similar is the case with several other restaurants in other parts of the country. It reflects restaurants’ design and furnishings has a major contribution in luring customers. In fact, it will become apparent to you by looking at the restaurant review sites that customers do comment on the decor and atmosphere of establishments as much as they talk about their food and service. So overlooking design and decor is not a valid option for restaurant owners. AmerAdnan Associates is one of the design and architect firms in Pakistan that is not afraid to exhibit its skills and flair whenever it is commissioned to design or decor a restaurant. 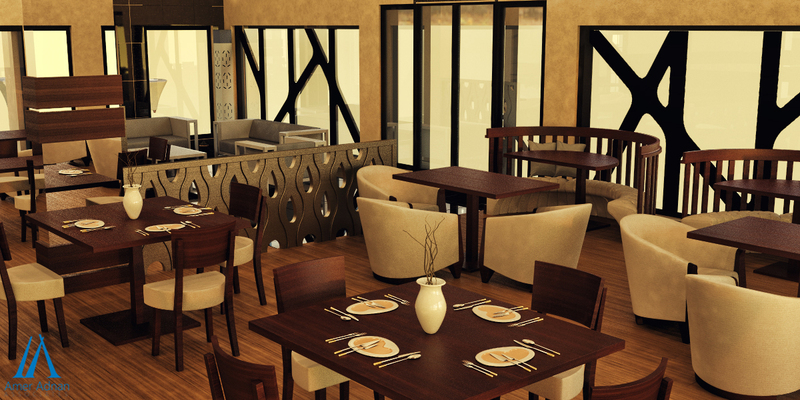 Till this day, the premier design company has successfully delivered numerous restaurant projects, including Cafe Zouk, Sialkot. And, it hasn’t lost that flair yet. 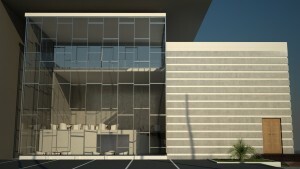 Here is another unique but simple and interesting restaurant design idea that AmerAdnan’s expert team of architects have pulled off with the assistance of their 3D artist. We call it the ‘Cube Restaurant’ concept. 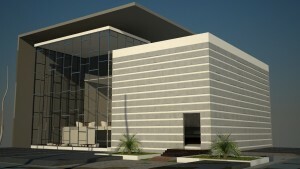 The main structure of the edifice is of concrete, glass and marble. The unique design has no defined staircase. 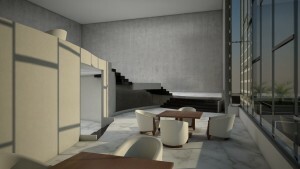 There are split levels in the building with different areas of dinning. 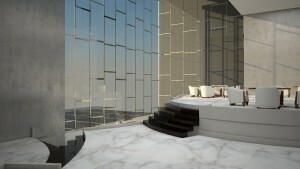 With appealing furniture, alluring lighting and luxurious finish this edifice will surely stand out.